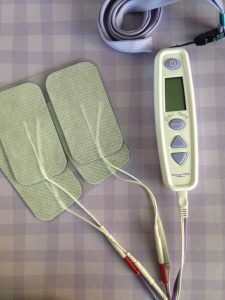 TENS, or Transcutaneous Electronic Nerve Stimulation, is a small battery-operated device that delivers mild electric impulses to stimulating pads placed on a laboring woman’s back. 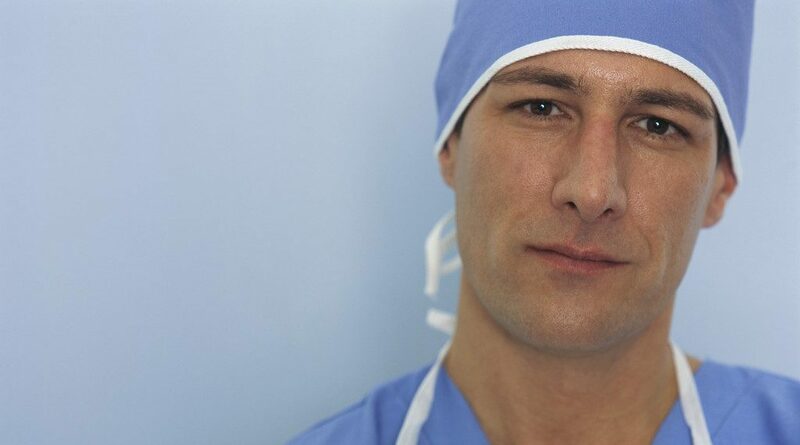 TENS has been used since the 1960’s for labor pain management and is widely used in England, Canada, and Australia. This safe, non-invasive method of pain relief is completely controlled by the mother who has the ability to turn the tingling sensation up, down, or off and also whether the sensation is steady or pulsing. TENS is especially helpful with back pain and can be started early in labor, but cannot be used with pacemakers, on those who have seizure disorders, or in the water. 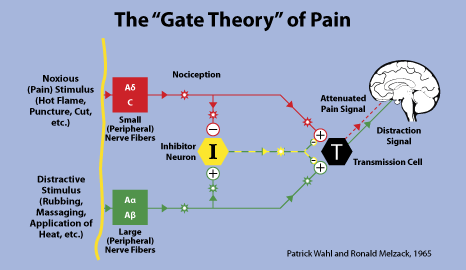 First proposed in 1965 by Ronald Melzack and Patrick Wall, The Gate Control Theory of Pain states that non-painful input closes the “gates” to painful input, which prevents pain sensation from traveling to the central nervous system. Therefore, stimulation by non-noxious input is able to suppress pain. TENS stimulation travels on myelinated (fast) fibers to the brain, while sensations of pain from labor contractions travel on unmyelinated (slow) fibers. The tingling sensation provided by TENS then closes the “gate”, impeding the contraction stimuli to the brain. Research has shown women using TENS in labor use less pain medication than those using a “sham” device (Carroll et all, 1997). The majority of women surveyed rate it as moderately to very helpful for back pain in labor and would use it again (Chamberlain et al, 1993).